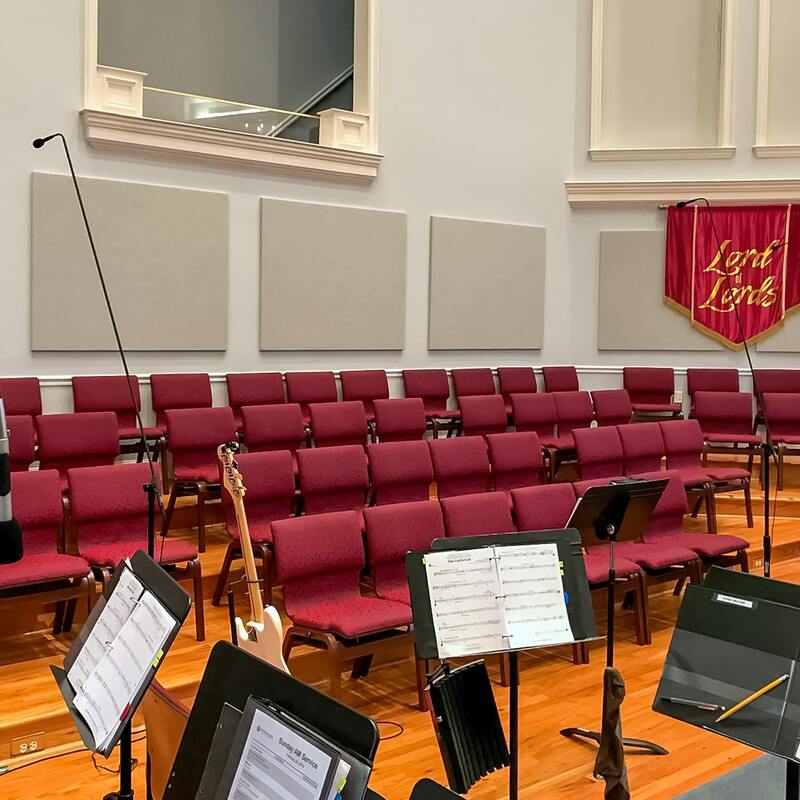 The First Baptist Church Social Circle addresses their acoustic concerns during the process of upgrading their sound system in the sanctuary. Discovering that the issue was more than just replacing the sound system has given them better tools to service their audio video needs. 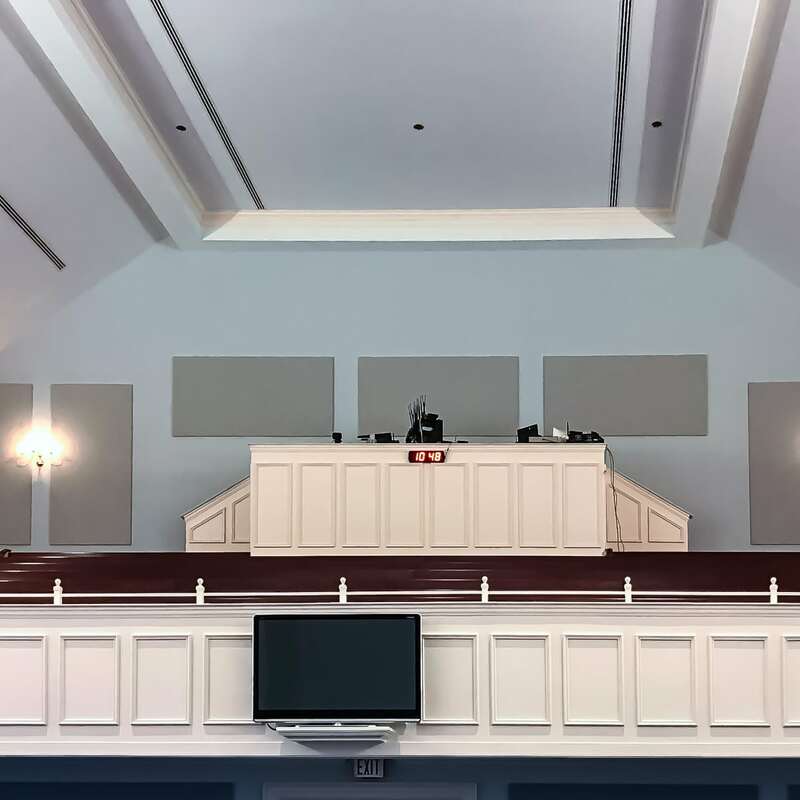 To address this problem, the Pastor contacted Acoustical Solutions to help zero in on an effective sound control solution. 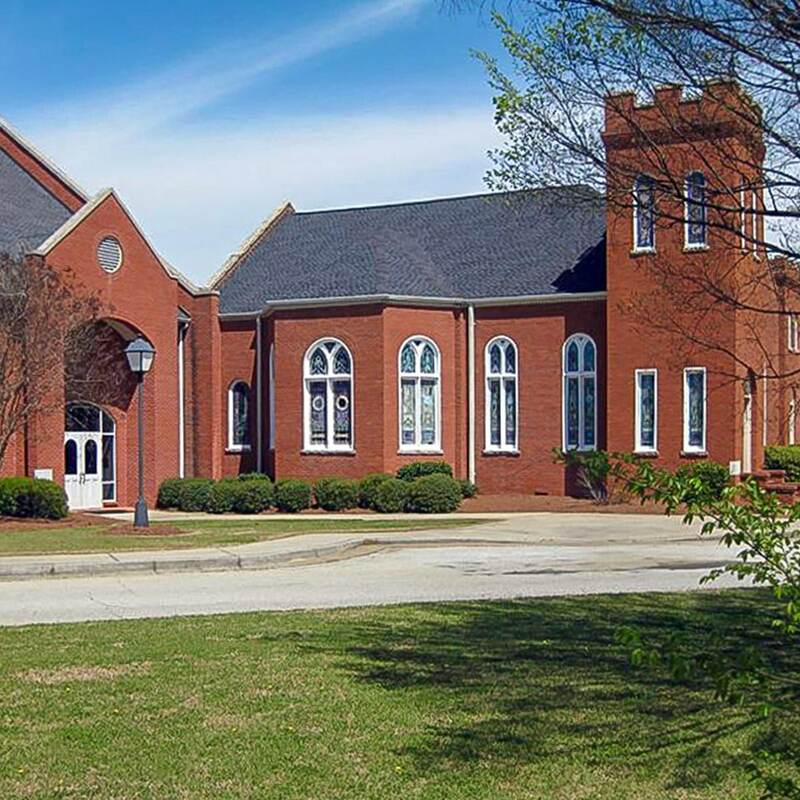 The Pastor of the First Baptist Church in Social Circle, GA correctly surmised that just replacing the old sound equipment would not fix the sound. He realized it was only part of the acoustical problem. 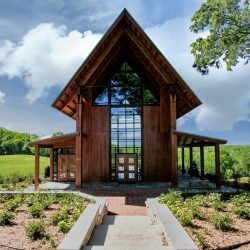 The sanctuary is very large and constructed of completely reflective materials. 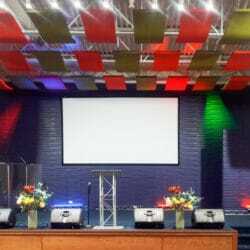 With very little absorptive material in a large open worship space, sound reverberation permeates throughout the room. Not only does this disrupt church-goers, but also the musicians, choir and supporting sound technicians. Turning up the volume on only makes the sound in the sanctuary worse. 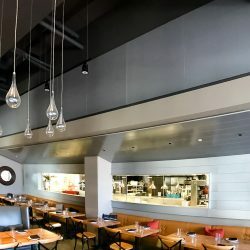 It was clear the new system must incorporate acoustic treatment. This would allow the sound system to reach its full potential. 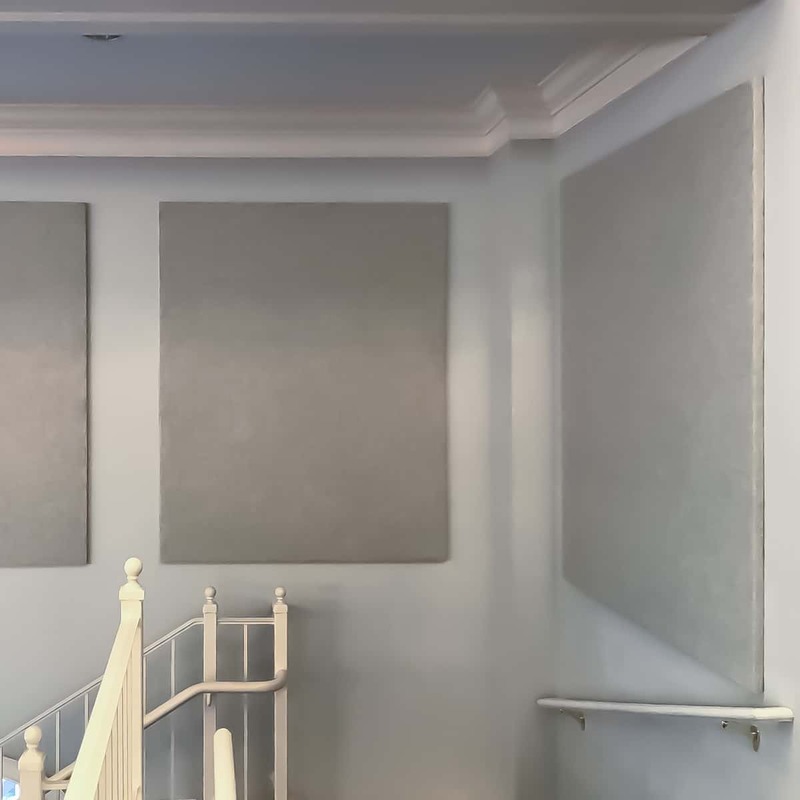 The goals of this project were to reduce the echo, to provide better acoustical performance and improve the speech intelligibility. 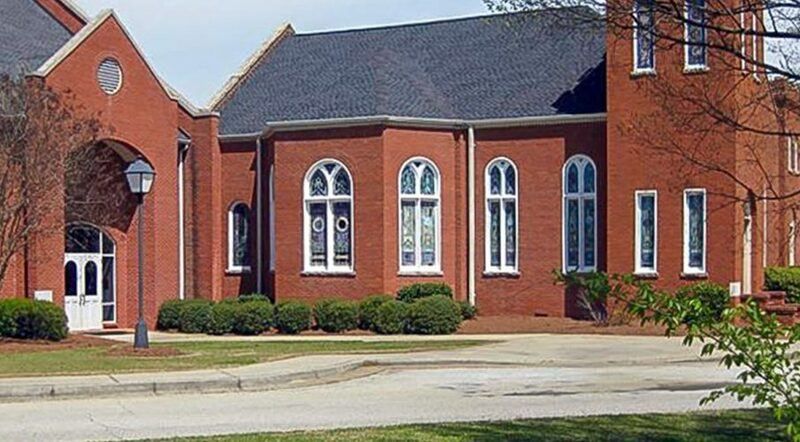 Seeking collaboration with a reliable acoustic specialist, the Pastor reached out to the Atlanta-based branch of the company to request proposals for material. 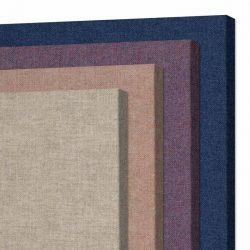 Together they devised a plan of treatment that not only includes the proper amount of material necessary, but also targets a specific layout to optimize the acoustic potential and complement the overall aesthetic. 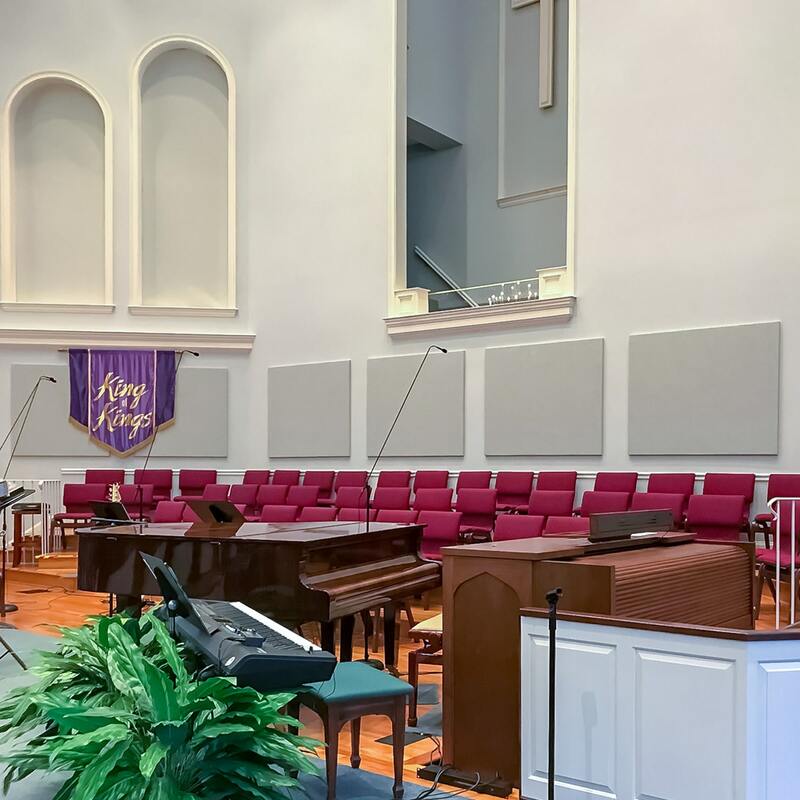 The First Baptist Church Social Circle, GA chose to purchase and install the acoustic material themselves using impaling clips and construction adhesive. 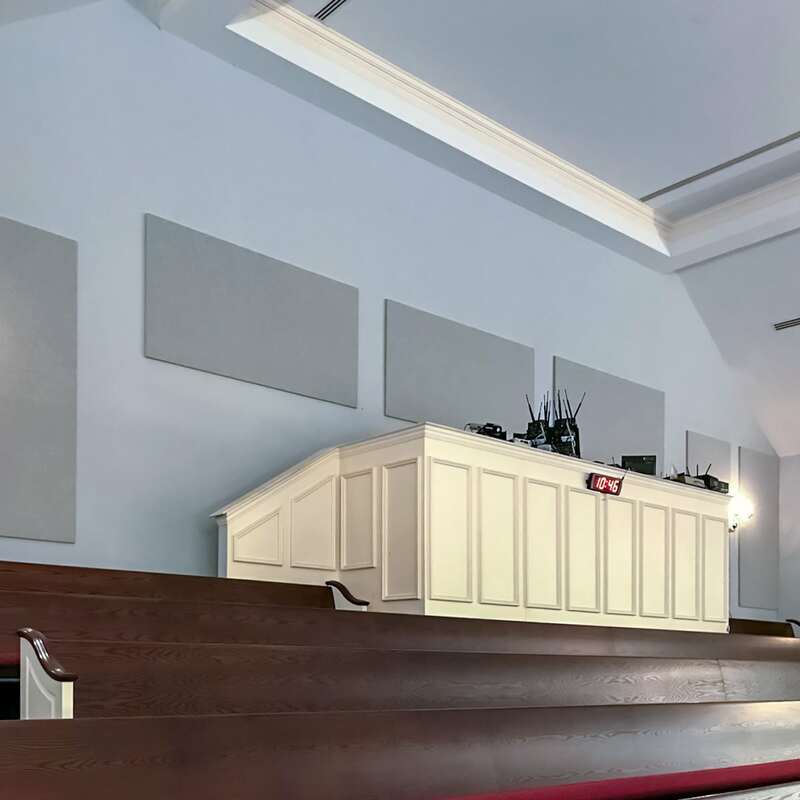 An array of AlphaSorb® Acoustic Panels were strategically placed at the front and rear of the sanctuary. 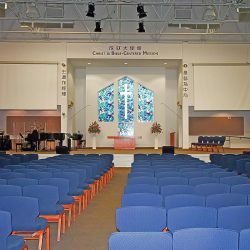 This covered approximately 564 square feet of surface area, mostly near the choir, mixing console and front walls. A beautiful silver color of from the Guilford FR701 Fabric series accents the existing paint color. 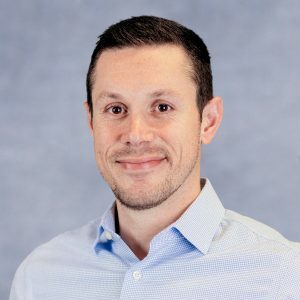 The customer is very content with the results. 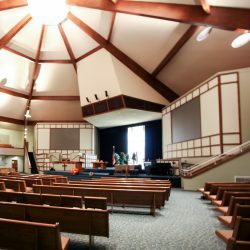 The overall sound quality of the sanctuary has greatly improved. Controlling the sound reflections, in the area of the microphones and mixing console, goes a long way to improving the room acoustics. 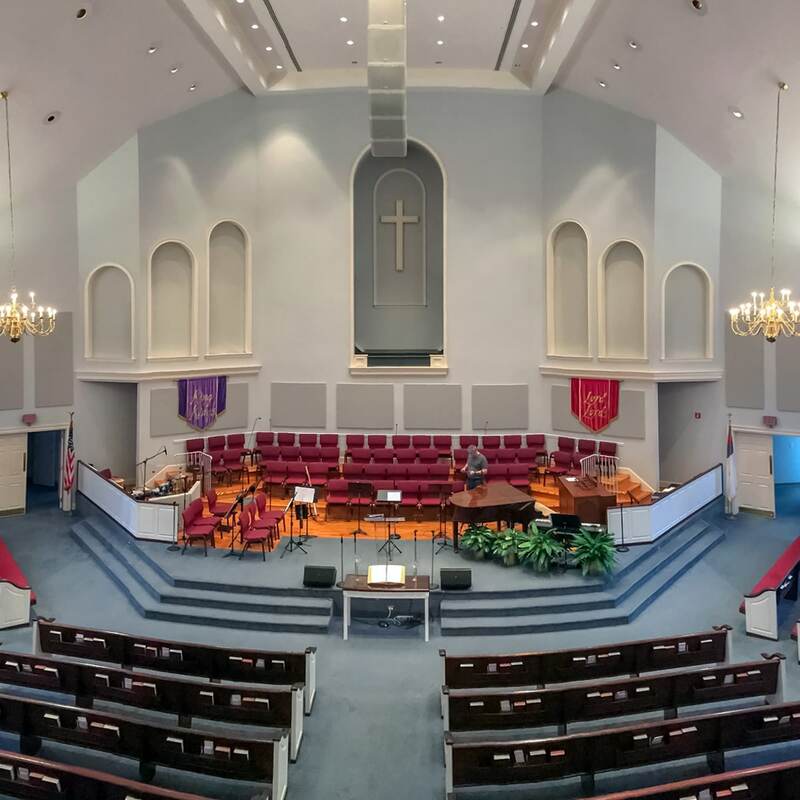 Acoustical Solutions has continues to collaborate with The First Baptist Church Social Circle on present and future projects.